Timid Duuni has spent her life as abused and guarded property. Blind, arrogant Raím is determined to be again what he once was: hunter, lover, young lord of the earth. 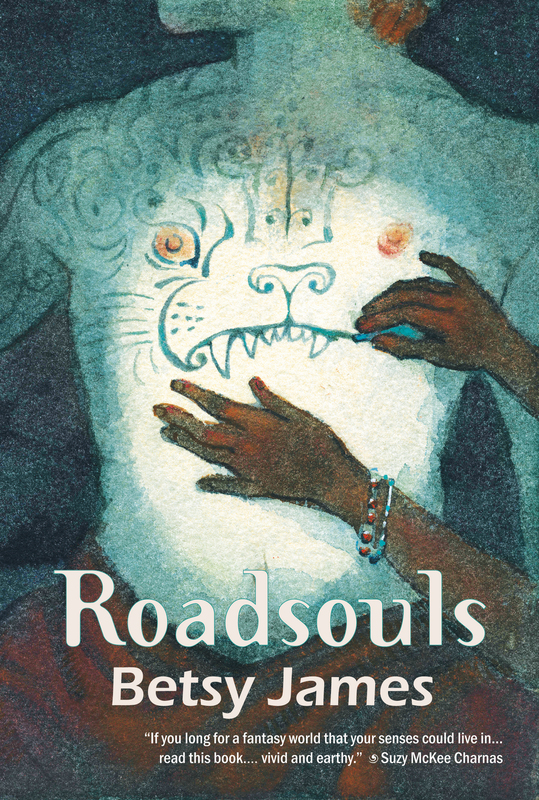 Desperate to escape their lives, the two lift up their hands to the passing Roadsoul caravan, and are—literally—flung together naked. Each of them soon learns that saying “yes” to the Roadsouls is a commitment that can’t be reversed. Nothing is as it was. Lost to their old lives, hating each other, they are swept out of their cruel old certainties into an unknown, unknowable, ever-changing world of journey and carnival, artists and wrestlers and thieves. Behind them, inexorable, pads a lion. Inexorable, too, is their inevitable encounter with it—an encounter that will change everything. 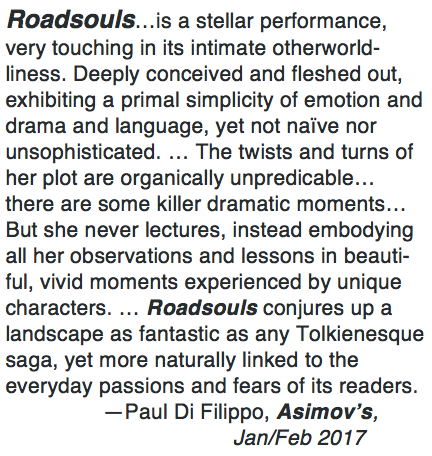 To buy Roadsouls, click here. Can you have what you wish for? What is the price? The world seventeen-year-old Kat knows is falling apart. 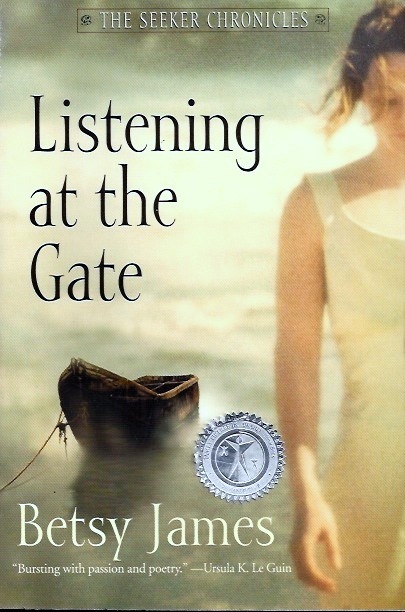 With Nall, the mysterious young man she rescued from the sea, she sets out on a journey that will take them beyond the last boundary of all, to the Gate where the world is born. To buy Listening at the Gate, click here. What if initiation into womanhood means you must face an angry bear? Sixteen-year-old Kat has spent a year preparing for her initiation. 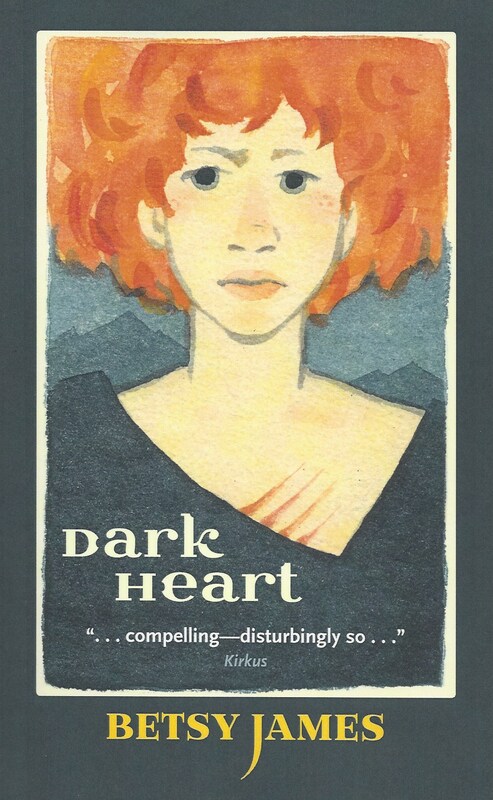 What will she do about the young blind man she is drawn to, so handsome and so broken? And what of Nall, the man she rescued and left behind? What—or who—do you dream of? Fifteen-year-old Kat is more her bitter father’s housekeeper than his daughter—but she knows there must be more. When she finds, washed up on the beach, an injured young man of the mythical seal people, she must confront her choices. Does she have the strength to stand on her own? 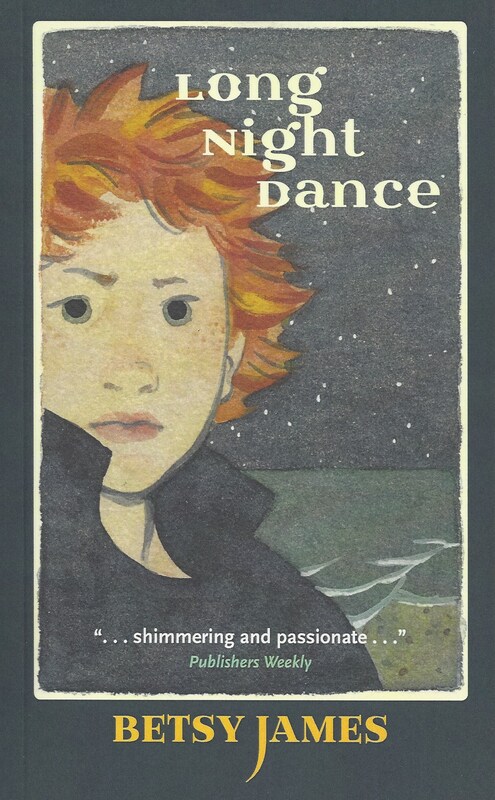 To buy Long Night Dance, click here. All material on this site, both text and graphics, is ©BetsyJames, and may not be used commercially without her permission.